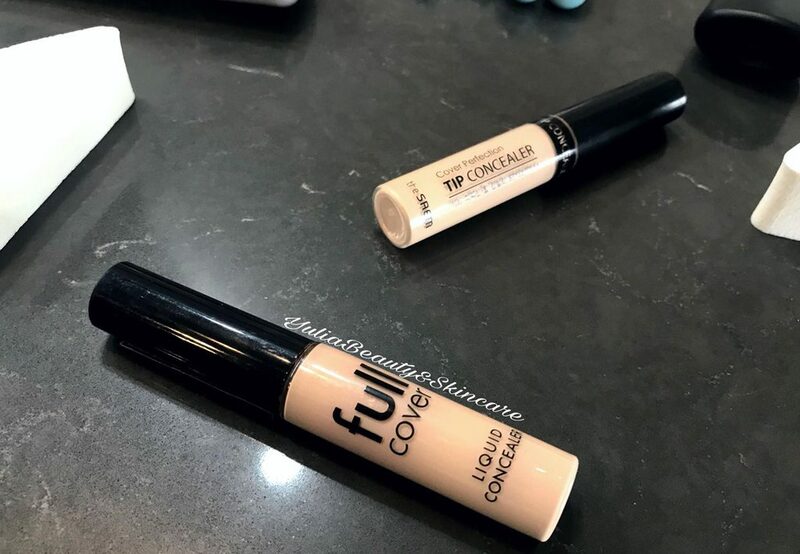 Today we will talk about two very good concealers, which I use almost daily. I ordered The Saem cover perfection tip concealer after stumbling upon stunning reviews on the internet. It can be ordered on eBay or Amazon. 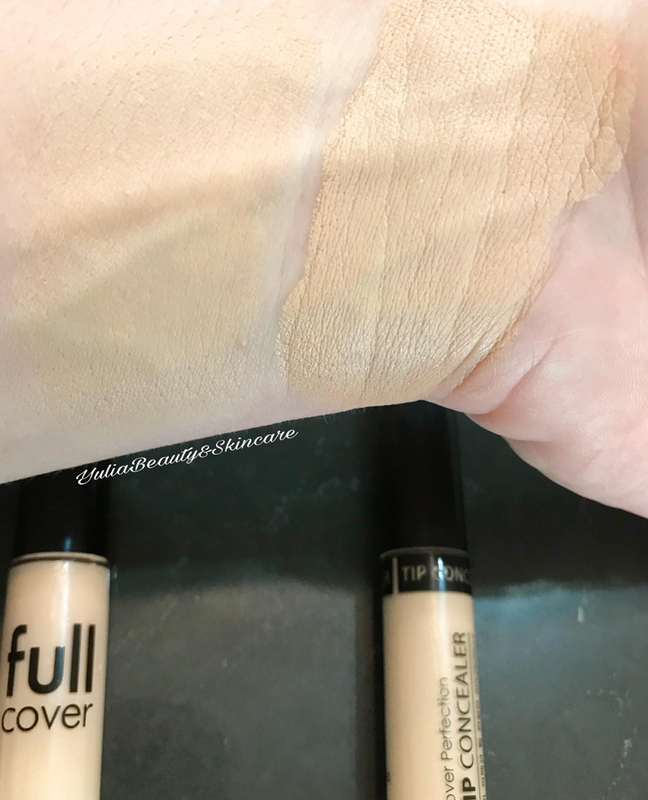 The second concealer Amore Pacific (Aritaum) full cover liquid concealer was gifted to me by the kind fairy Jenya Motlich because the color was too light for her. It can be ordered on eBay. 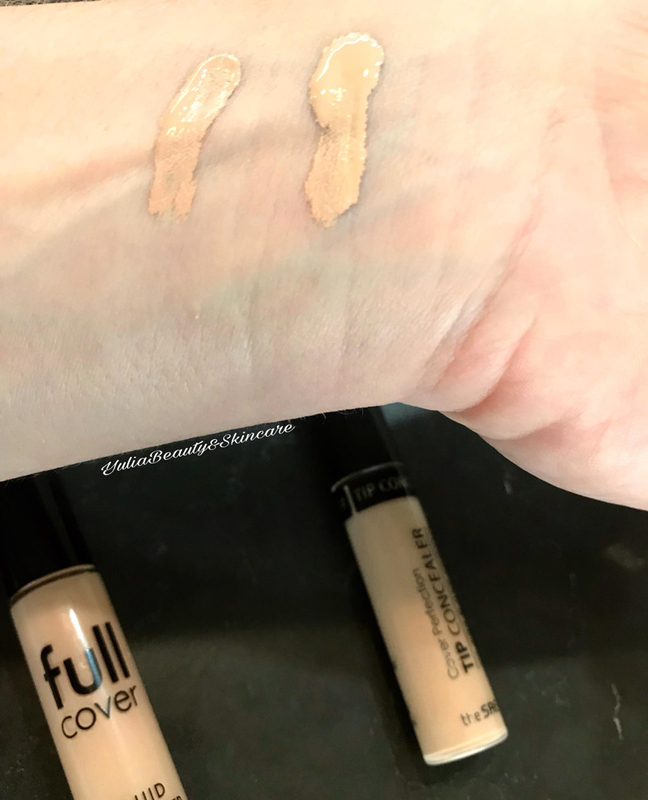 So, both concealers are packaged fairly compactly which allows them to be carried in a purse or a makeup bag of any size. 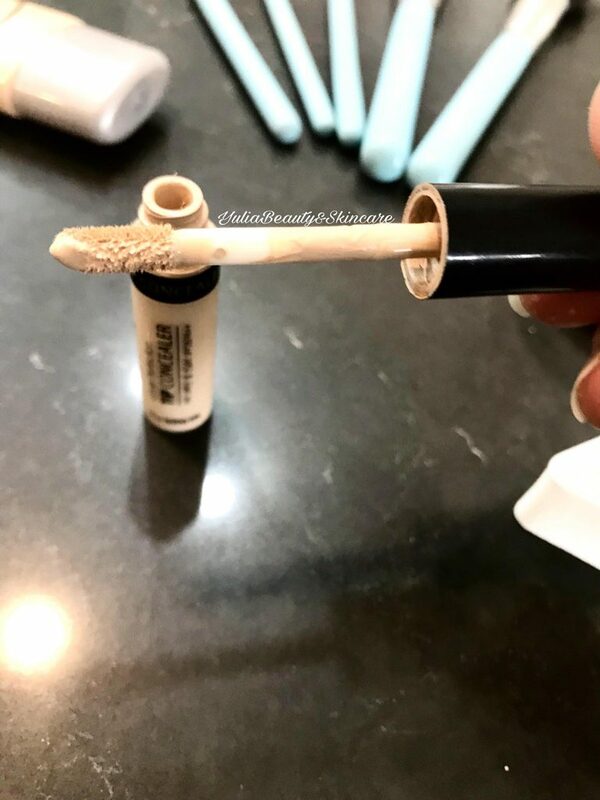 Both concealers have a sponge which allows for spot application of the product. 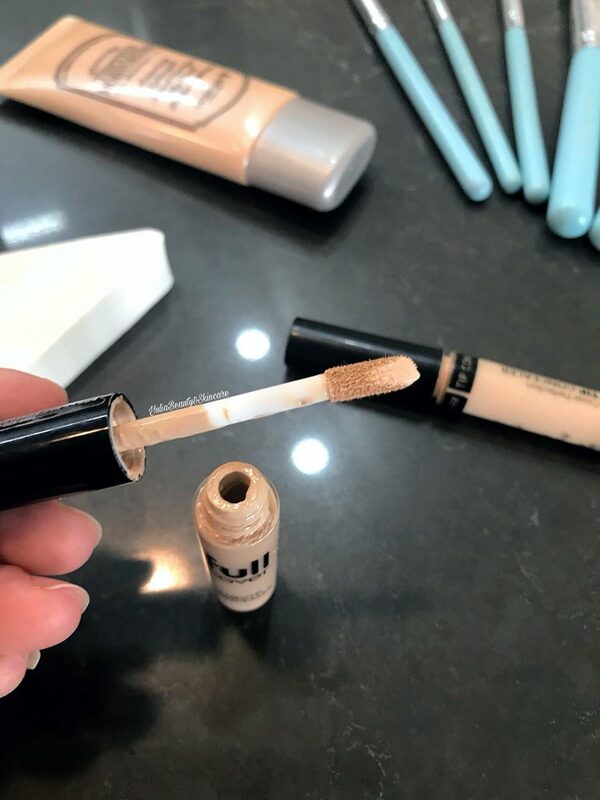 The Saem concealer has a very thick consistency with a pronounced yellow undertone which helps neutralize redness and cover up breakouts, small bruises and pigmentation. It has very good coverage and is probably the thickest one I can remember having. It’s considered a budget dupe for Nars and shape tape by Tarte. Based on this, you can understand that I don’t use this concealer around the eyes. It lasts excellently all day on inflammations and doesn’t require touch ups. I usually apply it with my finger then blend the edges with a sponge. Locally powder and forget about it. It’s very economical and I’ve had it for a few months already with daily use. Concealer by Korean brand Aritaum has a lighter texture and yellow-greyish hue. Covers up imperfections and bruises excellently. Doesn’t highlight flaking. Easily blends and goes on in a thin layer. It needs to be applied thicker on serious inflammation. Also dries the skin, but can be used over well hydrated eyelids, because it’s less aggressive than The Saem one. Also quite long lasting, but not as much as The Saem. It gets compared with MAC Pro Longwear concealer. Overall, when it comes to concealers, I quite like the Korean budget dupes and don’t see a reason to buy expensive brands.